Why is Tesla immune to the backlash other automakers face over quality issues? 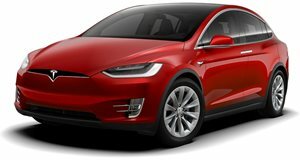 Quality issues can seriously affect the reputation and sales of auto manufacturers, but Tesla seems to be immune to this backlash according to a study by J.D. Power. 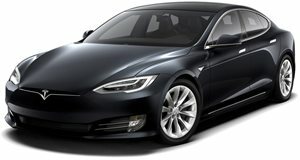 The eye-opening study, titled Tesla: Beyond The Hype, shows that Tesla Model S and Model X owners consider themselves as early adopters of electric cars with new technology, and are therefore not concerned about widespread issues that have affected Tesla’s electric cars. “Tesla owners see themselves as pioneers who enjoy being early adopters of new technology,” said J.D. Power’s director of global automotive consulting Kathleen Rizk. “Spending $100,000 or more on a vehicle that has so many problems usually would have a dramatically negative effect on sales and brand perception. Right now, though, Tesla seems immune from such disenchanted customers.” When it launched late last year, the Tesla Model X suffered a spate of issues, from unsafe seat backs to faulty falcon-wing doors. Updates designed to fix these faults only presented more problems. Not every consumer accepted these issues, however, as some filed lawsuits. It’s also thought that consumers will be less forgiving of the Tesla Model 3 aimed at the mass-market when it goes on sale this year if it suffers from similar teething problems. “When consumers buy a mass-market car priced around $35,000 that will be their primary mode of transportation, the degree of expectation will increase immensely. We’ve seen that with other well-liked brands, whether or not it involves an electric vehicle,” Rizk said.